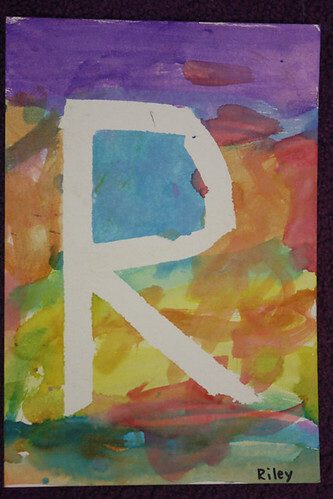 we taped the first letter of each child’s name to mat board then painted on top with watercolors. 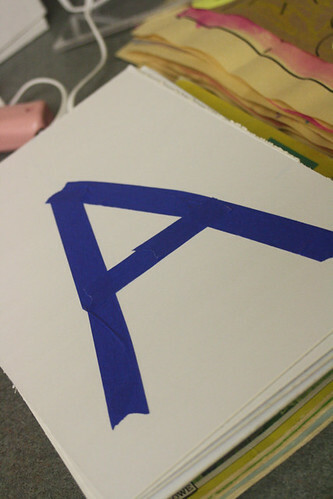 in order to assist in the “one color at a time” concept, i cut the watercolor strips apart and hot glued them to plastic plates. i know you can order watercolor “cakes” and i think i might like that. 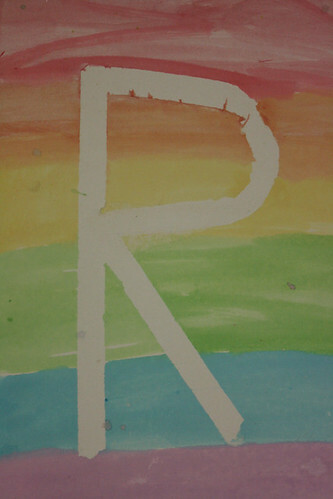 beautiful rainbow letters were made! 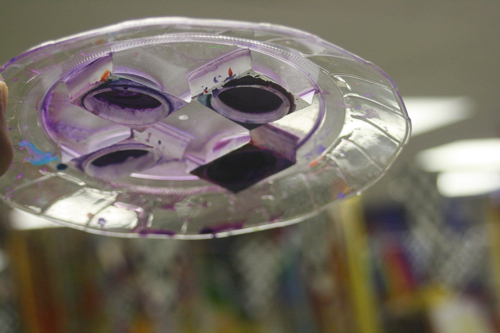 We did these in our classroom using regular tempera paint. They turned out beautifully! Great idea! 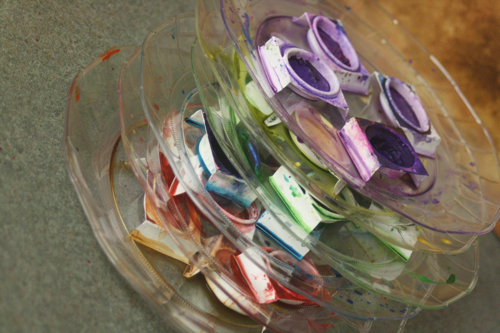 I like the idea of cutting the paints and gluing them to the plate. More great ideas! 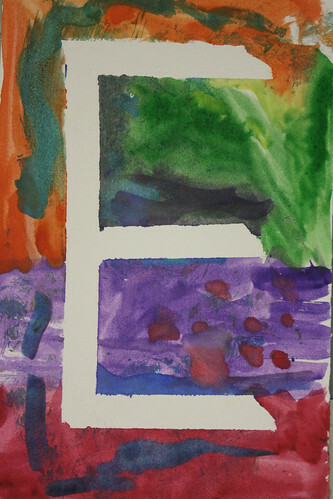 I like what you did with the watercolors. What a wonderful idea with the rainbow letters – and they look so beautiful too. I’ll have to try this one with the kids. Also loving the rainbow with the block. Where on earth do you get all your inspiration from?! Do you pull the tape off after you paint over it? Does it tear off the mat board? They look very pretty! yes! we painted right over it and pulled the tape off very soon after painting. a couple of times the mat board tore a little but the paint had bled through enough. i think one friend did a little “touch up” on one spot.